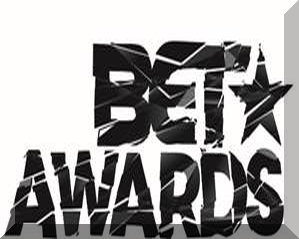 BET Networks, a unit of Viacom Inc. (NASDAQ: VIAB, VIA), today announced the nominations for the “BET Awards” 2015. Chris Brown and Nicki Minaj lead with an impressive six nominations. Nicki Minaj is nominated ‘Best Collaboration,’ ‘Best Female Hip Hop Artist,’ ‘Video of the Year,’ two nominations for ‘Coca-Cola® Viewers’ Choice Award’ and ‘Best Group’ as a member of Young Money. Beyoncé and Lil Wayne round it out with four nominations each. Beyoncé is nominated for ‘Best Female R&B / Pop Artist,’ ‘Video of the Year,’ ‘Video Director of the Year,’ and the coveted ‘Coca-Cola® Viewers’ Choice Award.’ Lil Wayne is nominated for ‘Best Collaboration,’ ‘Video of the Year,’ ‘Coca-Cola® Viewers’ Choice Award,’ and ‘Best Group’ as a member of Young Money. This year also marks a special milestone for the “BET Awards” as it celebrates its 15th anniversary live from the Nokia Theatre, Sunday, June 28th, 2015. The “BET Awards” 2015 will premiere around the world on BET’s international network at 8:00pm GMT (check local listings).